Are you looking for someone who could do architectural drafting for your new house or home improvements? You have come to the right place. 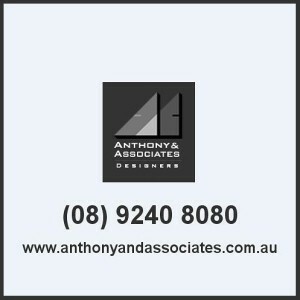 At Anthony and Associates, we take any Perth architectural drafting services very seriously. We give all our projects the utmost importance no matter how big or small it is. Through the years, our business has thrived on word of mouth or referrals. Most of our satisfied clients refer us to their friends and family because of the reasonable price that we offer. We do not charge an exorbitant amount for Perth architectural drafting services. We make sure that we give high quality work. It does not mean that if we charge less compared to big name architectural design companies that you will be getting a mediocre house plan. We can give you the same quality of work that big name companies offer at a much lower cost. We have built a name as a go-to architectural drafting in Perth and we will not throw that away by providing second-rate service. Another reason why clients are greatly satisfied with the Perth architectural drafting services we provide is because of our “personalized” service. That means we are willing to work with your schedule and adjust accordingly. We make sure that we will not leave you with unanswered questions. Rather, we will ensure that the questions you have about architectural drafting in Perth is addressed. The reason we can give our clients good architectural drafts is because our team has the necessary training for the job. Our head designer and project manager has a Bachelor’s degree in Architecture from UWA. 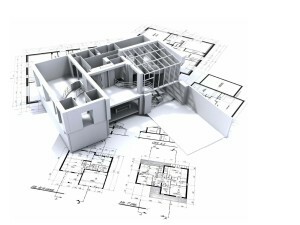 That means you can expect architectural drafting to be done professionally. And on top of the training, our team has great experience in doing different types of drawings or plans for home and commercial projects. For the house projects, our team has extensive experience in doing designs, drawing house plans and drafts for new builds, renovations, home extension, and home additions. You can be assured that the house plan will follow Perth’s building codes. That means you will have no problems with getting council approval. Our team is also used to working with the different players in the industry. That is why we know what builders expect from us and for any architectural drafting in Perth that we do. A lot of people end up with nice-looking houses but are not completely happy with it. And you may ask why that happens. The answer is simple. The house designer only thought of something that would look good as opposed to something that the client wants and matches the client’s lifestyle. In our line of business, we know that listening to what you (the client) want is very important. We will make certain that we listen to you and what you want to get out of Perth architectural drafting services. We take the time to get to know you and what your “design personality” is so we can give you a house plan that will fit you to a tee. We will discuss every detail with you when it comes to architectural drafting so that we will end up with drawing you a plan that you will love and you feel comfortable living in. Moreover, when we come up with architectural drafting, we do our very best to give each one a unique look, making sure that we do not copy one of our previous works. We want you to end up with an original architectural drafting in Perth. There are a lot of people who are not so good in visualizing floor plans and blueprints and we know that. That is why we can also come up with a 3D model along with the architectural drafting. With the 3D model, you will be able to see every angle and every detail of your house. You will have a clear picture of what it will end up looking like. Thus, you can point out things you want to change or want to improve before finalizing the house plan. So if you are looking for architectural drafting in Perth that is easy on the pocket and one that is professionally done, come to us. We will do our very best to make the experience hassle-free for you. Not only will you get a house plan of your dreams, but we will make sure that you will have a pleasant experience when you avail of Perth architectural drafting services. Give us a call today so we can start giving you the best possible Perth architectural drafting service.